The Flint Northern 1974 Boys Cross Country Team members include Michael Bowen, Steve Branch, John Halford, Richard MacInnes, Anthony Sullivan, Bruce Towar, Ronald Whitner Sr., and Keith Young. 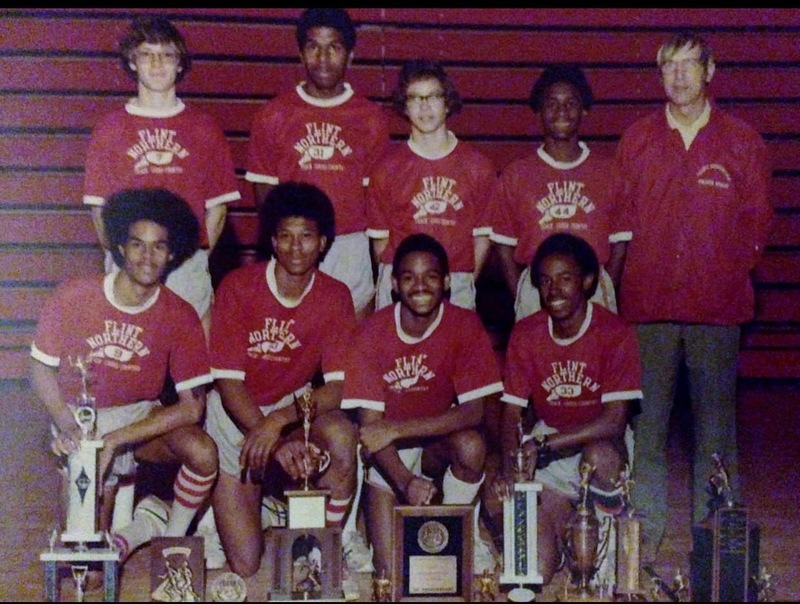 The Flint Northern 1974 Boys Cross Country Team won the first and only Boy’s Class A State Cross Country team title in the history of Flint Public Schools. The 74 points scored by the Vikings team set a record for lowest point total ever recorded in the state meet. The team had a 13-1 record in dual meets and the Holly, Owosso, and Eisenhower state invitational meets. The Vikings were ranked 1st in the state and won the Tri-State Cross Country Invitational championship against teams from Indiana, Michigan and Ohio. The team completed the 1974 season by winning the City, Valley, Regional and State meets. The Vikings were coached by Norbert Badar who set a high standard for distance runners in the state and the team always had the support of their parents, school officials, Viking cheerleaders and the school pep band. Flint Northern 1974 Boys Cross Country Team you are the true definition of being “Flint Strong”! You have made Flint proud. Welcome to the Greater Flint African American Sports Hall of Fame!